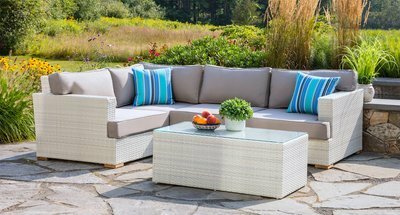 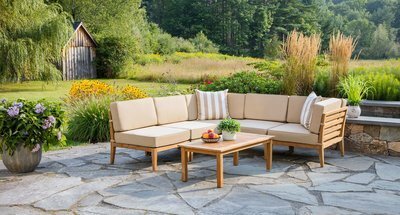 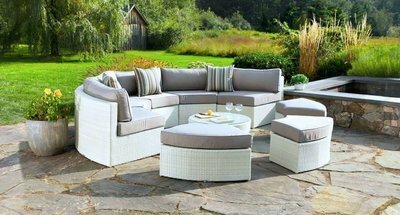 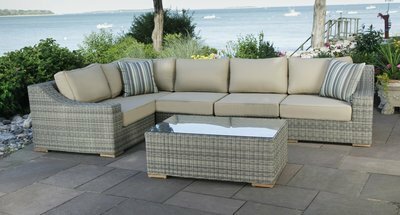 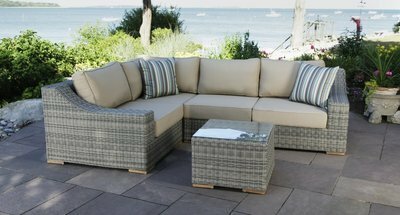 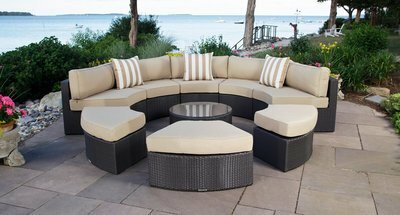 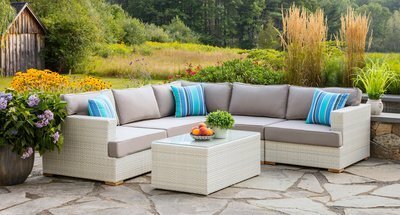 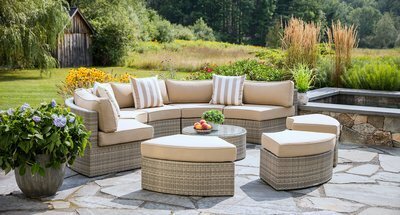 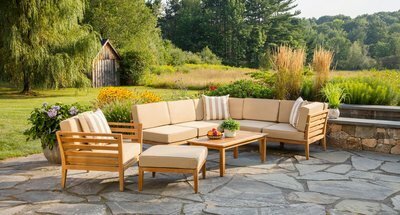 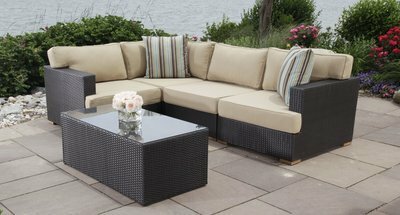 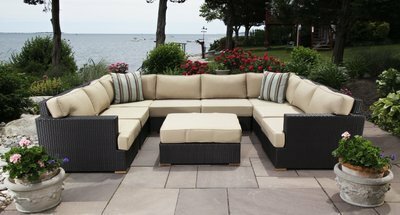 Our outdoor sectional sets are built with the customer in mind. 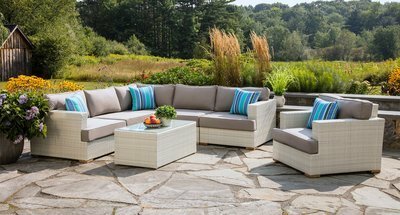 Deep seating, wide armrests, and stylish designs set them apart from many of the cookie cutter options you will find online and in local stores. 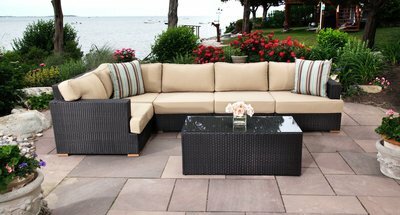 Each collection offers multiple variations and can be configured perfectly to your deck or patio. 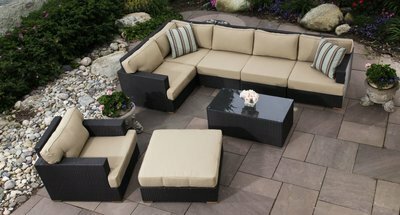 Every sectional can be left or right facing, and either side can be extended by adding extra armless pieces. 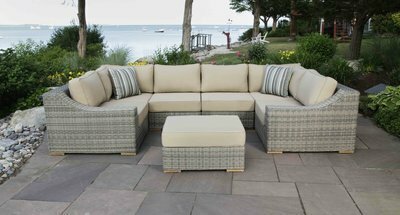 In addition, matching pieces are available for each set, including club chairs, lounge chairs, dining sets, ottomans, and end tables.